How can I display an image which is stored in files? For attachments I can use the code below, but it doen't work for files. 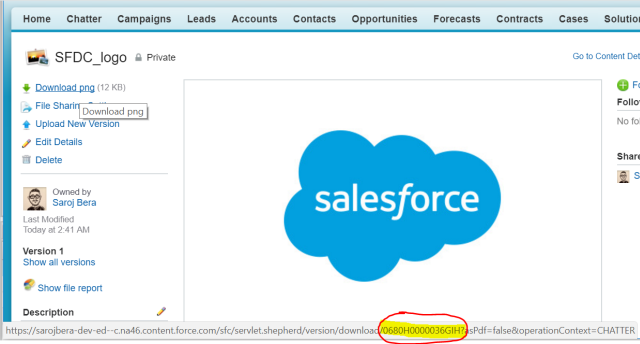 Try this format <apex:image url="/sfc/servlet.shepherd/version/download/[DOWNLOADID]"/>. How to get the DOWNLOADID? Open the File, you will get a screen as below. Hover on the download link, you will get the DOWNLOADID as highlighted. Replace [DOWNLOADID] with the ID of the ContentVersion record you want to display. Not the answer you're looking for? Browse other questions tagged apex visualforce images files or ask your own question. Winter '15 causing broken image links? 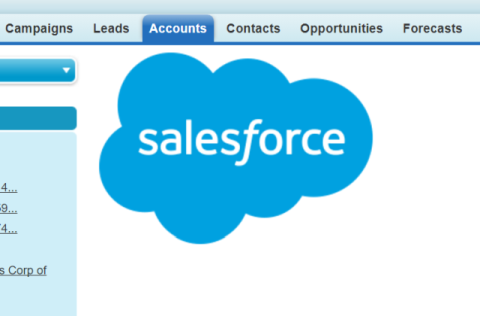 How can I display a document image in a VisualForce page so it works in a managed package?